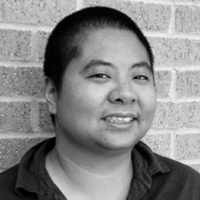 This job talk will feature, Ching-In Chen, the author of Recombinant (Kelsey Street Press, 2017) and The Heart’s Traffic (Arktoi/Red Hen Press, 2009). A Callaloo, Kundiman, and Lambda Fellow, they have been awarded residencies and fellowships from the Fine Arts Work Center, the Millay Colony for the Arts, the Norman Mailer Center, the Vermont Studio Center, and the Virginia Center for the Creative Arts, among others. An assistant professor at Sam Houston State University, they live in Houston, Texas. A brief Q&A will follow this job talk.